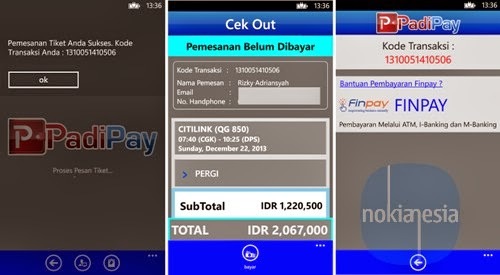 If you're want to travelling across Indonesia with airplane and need an airplane ticket, you can use "PadiAir" from your Nokia Lumia with Windows Phone 7.x and 8. 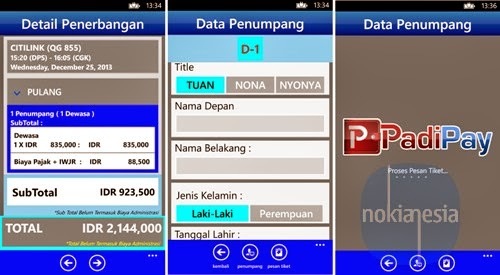 "PadiAir" is Online mobile flight reservation application from Padicon Teknologi Informasi - the same developer that develope "PadiTrain" Application. 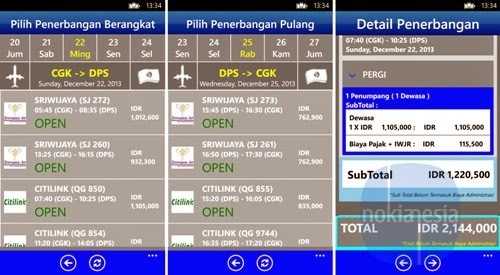 For today, "PadiAir" only serve 2 Airlines from Indonesia, they are: Sriwijaya Air and Citilink. 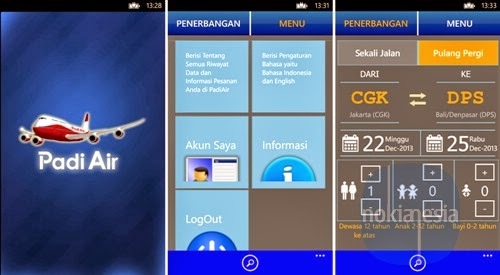 Another airlines will be available later.